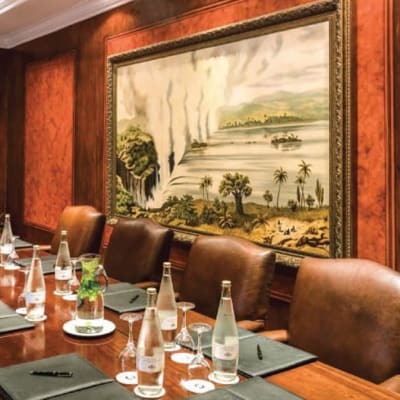 Royal Livingstone Hotel by Anantara is the perfect accommodation partner for high-profile guests and delegates. Rather than simply mixing business with pleasure, this is where business becomes a pleasure. As one of the leading function facilities in Africa, you will have the added benefit of 5-star accommodation on-site. 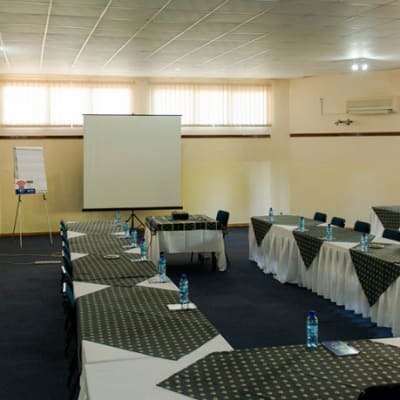 Plan your next conference Protea Hotel by Marriott and take advantage of their modern facilities. 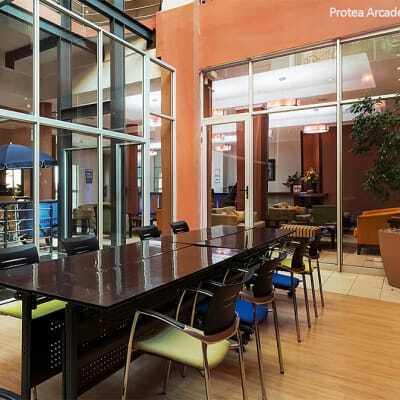 Your delegates will be thrilled with their Protea’s contemporary hotel rooms and on site restaurant. By working closely with you, Protea Hotel’s skilled professionals ensure your event is a success. The conference centre can be subdivided into separate areas depending on your requirements, offering conference facilities for up to 450 delegates as well as an excellent environment for team building events. 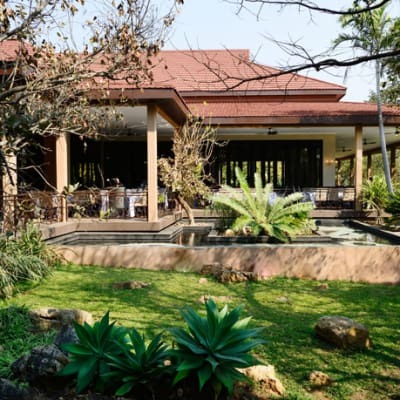 Accommodation needs are met by the three-star AVANI Victoria Falls Resort and adjoining five-star Royal Livingstone Hotel. A state-of-the-art conference centre with a panoramic view of palm trees, lush green gardens and impressive water features. By night, the centre is softly illuminated-a shining emerald gem in the heart of Lilayi. This modern venue can comfortably host up to 410 guests. 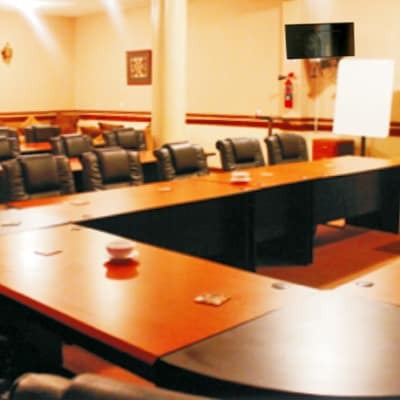 The venue can also be configured professionally into separate rooms. 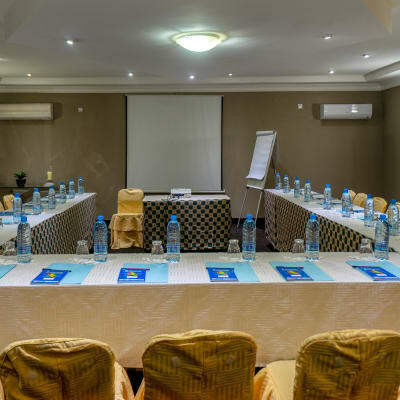 Hilton Garden Inn Lusaka is the ideal choice for your next meeting in Lusaka. The hotel offers an array of rooms to suit various needs. All rooms are fully furnished with modern equipment and the hotel offers complimentary Wi-Fi. Hilton Garden Inn Lusaka’s team will make sure that your meetings and conferences are stress free and leave everyone truly impressed. 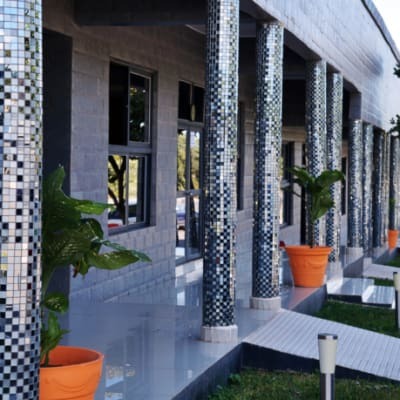 The newly built Mika Convention Center is in an ideal location for conferences, private functions and corporate events. The Center offers a choice of 30 ultra-modern conferencing halls, with a capacity of up to 1,500 delegates. 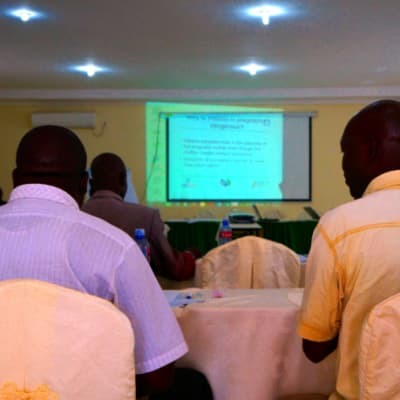 All corporate packages include overhead projector, slide projection and more. 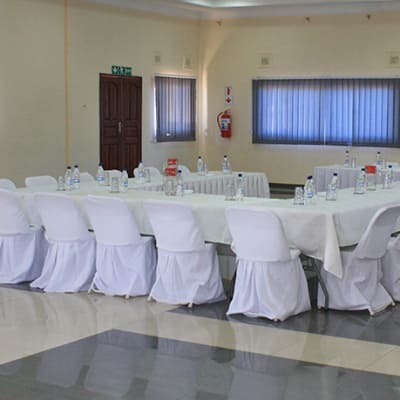 Mika Hotel Kabulonga has four conference rooms to meet different budgets and group sizes for corporate functions and business meetings. The hotel offers all inclusive conference packages. Every room includes audio-visual equipment, air conditioning and free wireless Internet. 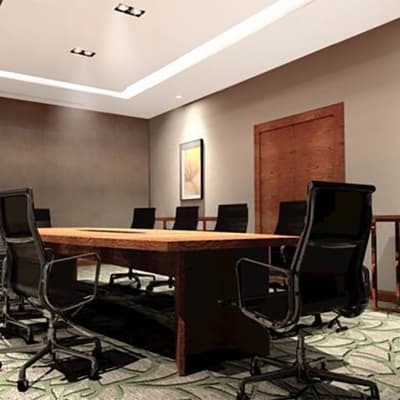 With a choice of conferencing halls, this hotel is an ideal location for conferences, business meetings and private functions such as weddings and birthday parties. For business purposes, the hotel has a range of corporate packages, from day conferences, half board and full board packages. 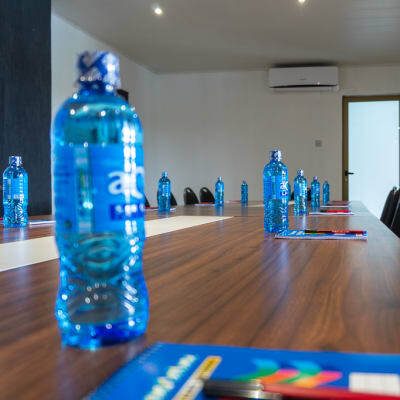 Conveniently located between Ndola and Lusaka, the Nsobe Game Camp conference centre is fully equipped with a power point overhead projector, TV, DVD and video player, whiteboards and flip boards. 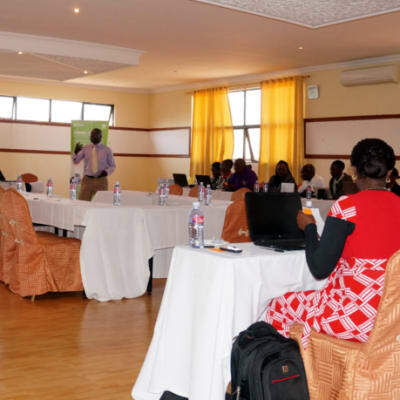 Conference charges are approximately $17 per person, which includes tea, coffee, mineral water, snacks and stationery. 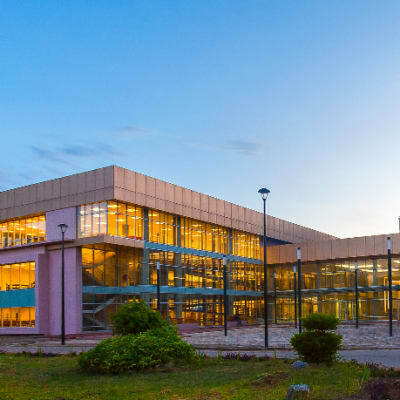 Mulungushi International Conference Centre (MICC) is one of the largest and best equipped conference centres in Zambia. It offers a selection of rooms for conferences, exhibitions, trainings and meetings. MICC can also provide all the necessary equipment including audio visual equipment, interpretation systems and more. MICC has a reputation for delivering successful events always. 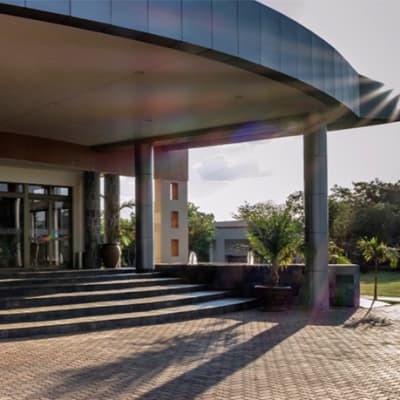 Located right away from Lusaka's hustle and bustle, Tiffany's conference venue is an ideal setting for board meetings, workshops and staff retreats, seating up to 350 delegates. The conference venue overlooks decking and beautiful gardens, which guests may use during breaks or outdoor functions. 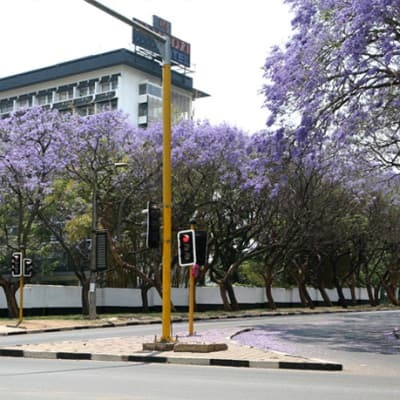 Chrismar Hotel Lusaka has created a unique venue for conferences, meetings, weddings and other special events. 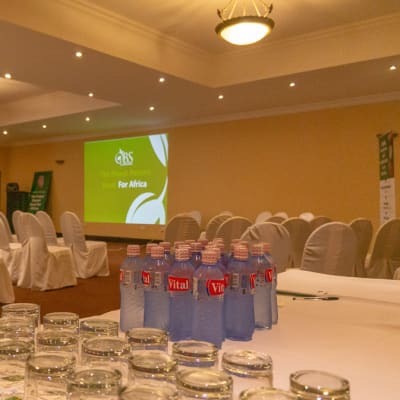 It aims to provide an excellent conferencing venue service for their clients, with space for up to 200 delegates or guests and a conferencing team who pay close attention to detail. 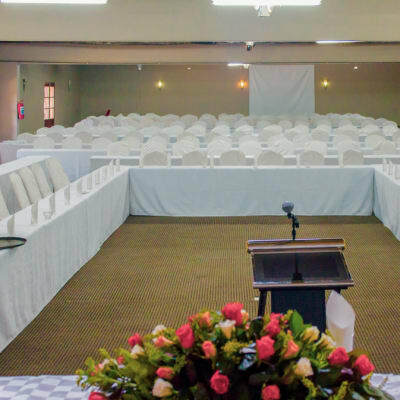 Chrismar Hotel Livingstone offers three conference venues with a combined seating capacity of up to 500 delegates cinema style, and up to 380 persons banquet style. State of the art conferencing technology and equipment ensures the hotel is a unique venue for conferences and functions. 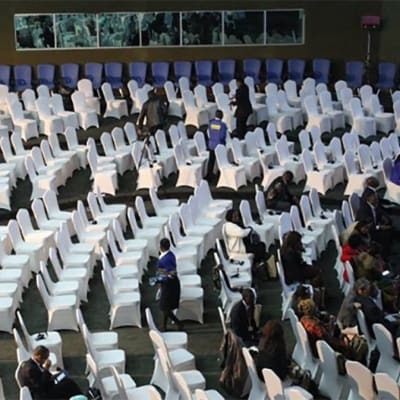 NIPA Conference Centre offers an ultra-modern auditorium with a seating capacity of 800 delegates. 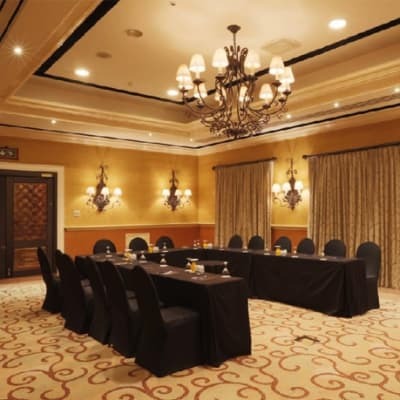 With state-of-the-art facilities including projectors, audio equipment and complimentary high-speed broadband, this is the perfect venue for all kinds of corporate functions, meetings and training sessions. 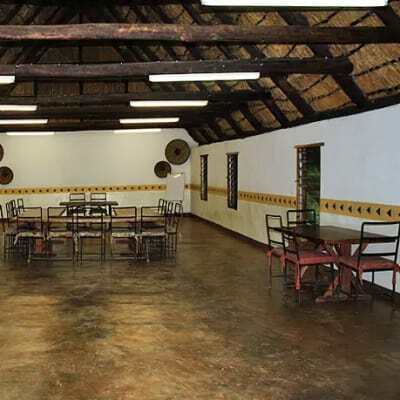 Cozy Lodge has a small conference venue that can accommodate between 20 and 25 guests. It is ideal for business meetings, small conferences as well as private events. Cozy Lodge knows that no two events are alike, that is why their venue is designed to be as flexible as its staff, dedicated to making your event amazing. 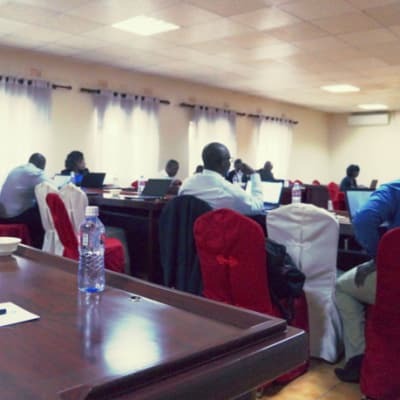 Two quality spacious conference facilities capable of holding up to 70 participants and each fitted with LCD projectors make EcoPark an ideal place for conferences. Plan your party, event or meeting in EcoPark's naturally lit rooms, or alternatively in its well-kept gardens. EcoPark has ample parking space. Whether you are team building or hosting a conference, Twangale Park provides the ideal location. The company has a dedicated team of staff who are always on hand to help you with all your conference and meeting needs. The company offers a choice of three venues to choose from, all venues are equipped with the latest equipment. 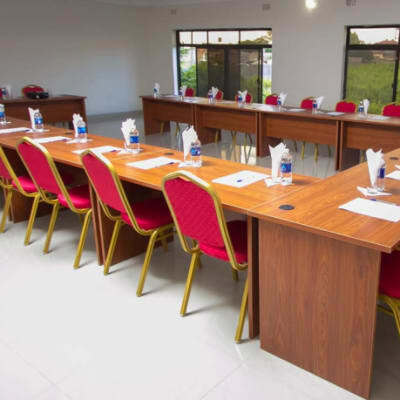 Muzala Corporate Lodge has two conference rooms that are fully equipped with visual aids, internet connections and multimedia facilities. The conference rooms also have breakaway areas for sub-committee meetings. The conferencing team pay close attention to detail, ensuring clients running an event are assured of a quality service. This venue seats 14 delegates comfortably with an additional to be seated in cinema style. Baines' River Camp is perfect for an annual management meeting with a twist. 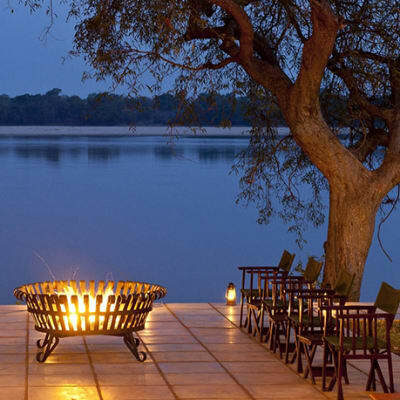 Courtesy of the Zambezi River, an inspiring environment is naturally present, offering a welcome escape from city noise, traffic jams and high rise buildings. 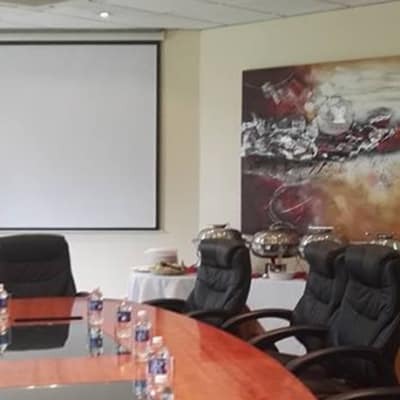 The modern conferencing facilities are ideal for business meetings, seminars, conferences and private functions such as weddings, parties and other social events. Conference packages include two tea breaks, snacks, buffet lunch and Wi-Fi. Delegates can stay at the lodge and make use of the restaurant and bar facilities.